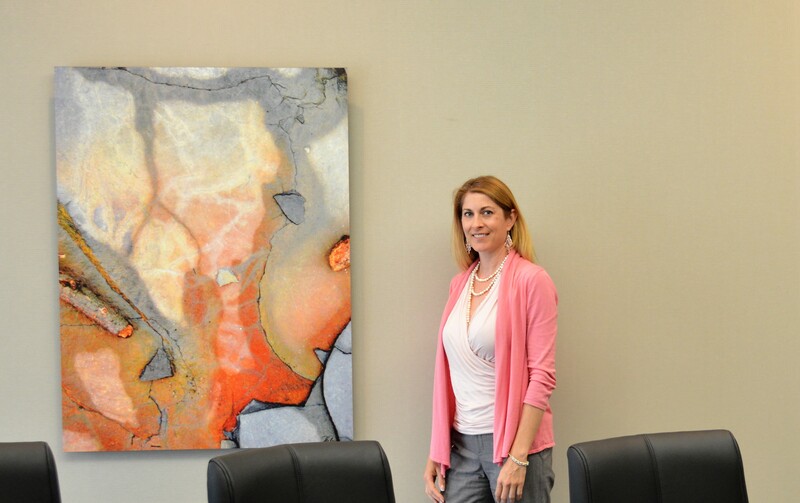 Salley Thornton marketing V.P at Toshiba Communications in Rochester, NY in their conference room in front of “Transformations” photographed at the Wild Flower Preserve in Ithaca, one of Helena’s most popular images. This office photography is printed on canvas and mounted on Sintra. The image literally transformed an uninspirational work space into a room that exudes vibrancy which stimulates productivity. 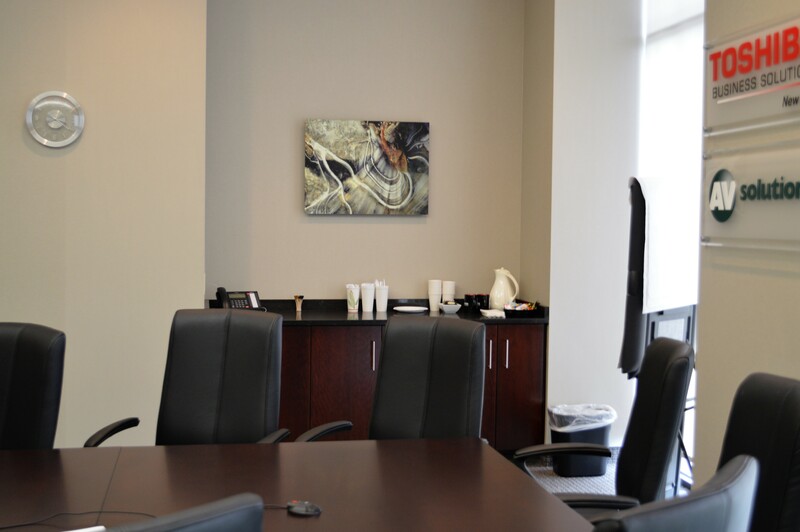 “Listening Horizontal”, photographed at Ithaca Falls was chosen by Toshiba Communications to breathe life into their conference room and hub of communication. It enhances the ambiance and promotes more effective communication.